FORT COLLINS, Colo. – Sorry Boulder, but another city is taking the spot for best bike town in Colorado this week. 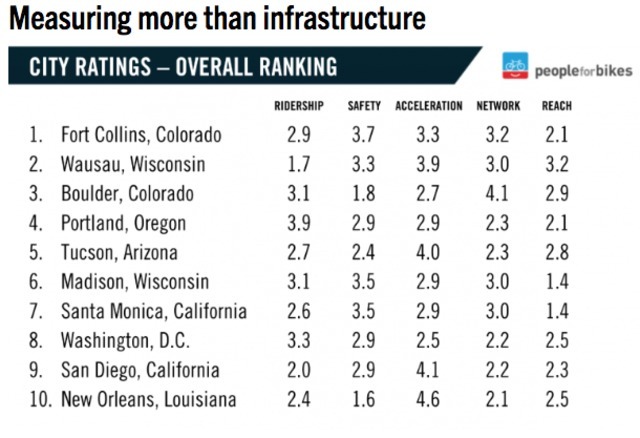 It turns out Fort Collins has been named the best city to ride your bike in this great land we call the United States of America. That’s according to PeopleForBikes . And before you raise arms in protest, Boulder: you came in third, behind Wausau, Wisconsin. But this isn’t the first accolade for the City of Fort Collins. The city has already been named a “Platinum Bicycle Friendly Community,” the highest ranking from the League of American Bicyclists, according to PeopleForBikes. To see more on how PeopleForBikes came up with the score, click here .